Social listening is the process of monitoring online chatter to discover trending words, phrases, or brands, and using that information to help develop and execute content and promotional strategies that tap into existing online audiences and conversations. Take-away: News stories can provide a natural hook and audience for targeted marketing and publicity. By monitoring trending hashtags, popular conversation keywords, and top media articles, we can design social media and messaging to fit the current conversation and create the biggest impact. The Viking team used social listening to identify when known influencers were talking about Adam Grant and Originals online, so they could amplify those messages in a timely manner. They tracked Twitter mentions of both the author and the book coming from a specific list of Grant’s most influential friends in order to amplify those mentions via their own social channels. They also maintained a second, broader query for Grant and Originals that gave a good idea of the scope of the conversation surrounding both the author and the book. The team used this secondary query to find other influential traditional and social media mentions for improved communications. Take-away: Real-time notifications when influencers are talking about an author or title can help the publishing team jump into active conversations and drive more engagement from our own social handles. Troublemaker received strong early reviews, and the Random House team used social listening to find out why, exactly, readers were so taken with the book, and how they could leverage that knowledge to attract even more readers. Social listening revealed that besides the fascination with Scientology, the biggest resonance with readers was Leah herself—not her celebrity or Hollywood lifestyle, but the way she shared her stories and experiences. Her authentic and honest narrative was pleasantly surprising to readers, making them feel “more like a confidant than a reader,” as one social listening tool pinpointed in this review. Her brash personality, vulnerability, and immense courage—all of which culminate in something bigger than herself—really hit home with readers, longtime fans and non-fans alike. With this insight, the team decided to move forward with consumer-driven Q&As/chats with Leah via Goodreads and B&N. They chose more “Leah”-focused questions—rather than Scientology-focused—for her to answer on Goodreads. They also reached out to book clubs and shifted the messaging to be about Leah’s story of courage rather than just the Scientology tell-all scoop. Take-away: While a marketing team may have identified a hook for a particular book, social listening can unveil unexpected opportunities that can be even more effective in connecting with and reaching new readers. Social listening is a widely used practice for helping to shape marketing and publicity plans using innovative access to data. 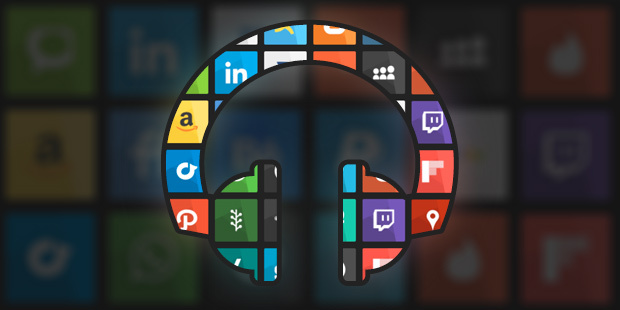 While your Penguin Random House team has access to advanced subscription-based tools for this monitoring, there are many free tools available should you want to set up social listening for yourself or your titles. If you have questions around social listening, please reach out to your Penguin Random House contact. April Flores is Senior Manager, Publicity Tools and part of the Consumer Marketing Group at Penguin Random House. Andrea Bachofen is Associate Director, Publishing Development and Author Platforms at Penguin Random House.